Thomas Melady, a former US ambassador to the Holy See, died in Washington on January 6 at the age of 86. 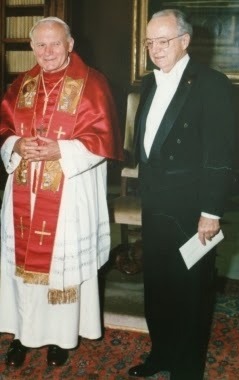 Melady was named to the Vatican post by President George H. W. Bush in 1989; he served until 1993. He had previously served as US ambassador in Burundi and later in Uganda. From 1976 to 1986 he was president of Sacred Heart University in Connecticut.